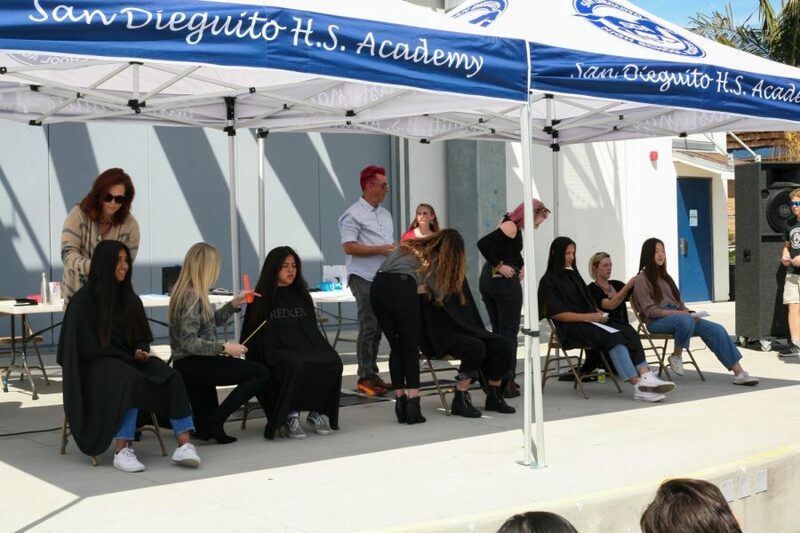 Students lined up in chairs and got their hair put into small ponytails that are easier to cut off. with the opportunity to give at least eight inches of their hair. be different,” said Zoe Duncan, freshman. and I want a change. I want to have some fun with it,” said Emily Liang, sophomore. was planning on growing it out until next year, but I decided to do it this year,” said Liang.